In addition to the configuration of the contract determination, which is described here, it is possible to influence the contract determination with attributes in the contract instance. This blog describes the possibility to influence the contract determination with contract attributes. All mentioned attributes are relevant for the determination of service contracts (items) in tickets (items) and a subset of the attributes are relevant for the determination of sales contract items in sales quote items and sales order items. The focus of this blog post is ‘Include Authorized Parties’ and ‘Include Account Hierarchy’. The attributes which are only relevant for service contracts are described in this blog post. With the following two flags it is possible to indicate, how the contract determination shall handle the entered customer/account in the ticket/sales quote/sales order. The functionality is the same for the determination of service contracts (items) in tickets (items) and for the determination of sales contract items in sales quote items or sales order items. Both indicators are only relevant if the determination strategy is not configured as ‘Object Centric’. If both indicators are not active, only the customer of the contract is relevant for the contract (item) determination. The contract (item) is only applicable if the entered customer/account in the ticket/sales quote/sales order is the same as in the contract. If the indicator ‘Include Authorized Parties’ is active, in addition to the customer of the contract all authorized parties maintained in ‘Involved Parties’ are relevant for the contract (item) determination. Prerequisite for the maintenance of authorized parties is an active party role ‘Authorized Party’. If the indicator ‘Include Account Hierarchy’ is active, in addition to the customer of the contract all maintained parent accounts from the account hierarchy are relevant for the contract (item) determination. The contract (item) is applicable if the entered customer/account in the ticket/sales quote/sales order is the same as in the contract or is included in the account hierarchy on a higher level than the entered customer/account in the ticket/sales quote/sales order. In this example we have an account hierarchy with three levels. Only the Account ‘Blog Company Level 1’ has a contract. 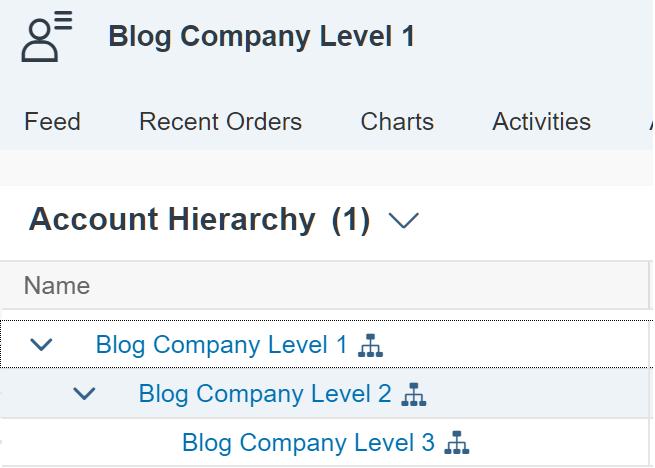 If now in the ticket/sales quote/sales order the account ‘Blog Company Level 3’ is entered, the contract with the customer ‘Blog Company Level 1’ is applicable and automatically assigned, because it is the only applicable contract. Additionally the user is also informed via a message. If the customer ‘Blog Company Level 2’ has also a contract, then the contract is the most applicable and is automatically assigned. The contract of customer ‘Blog Company Level 1’ is also applicable and can be assigned manually via the Object Value Selector. If the customer ‘Blog Company Level 3’ has also a contract, then the contract is the most applicable and is automatically assigned. The contracts of the customers ‘Blog Company Level 1’ and ‘Blog Company Level 2’ are also applicable. If both indicators are active, in addition to the customer of the contract all maintained parent accounts from the account hierarchy and all authorized parties are relevant for the contract determination. 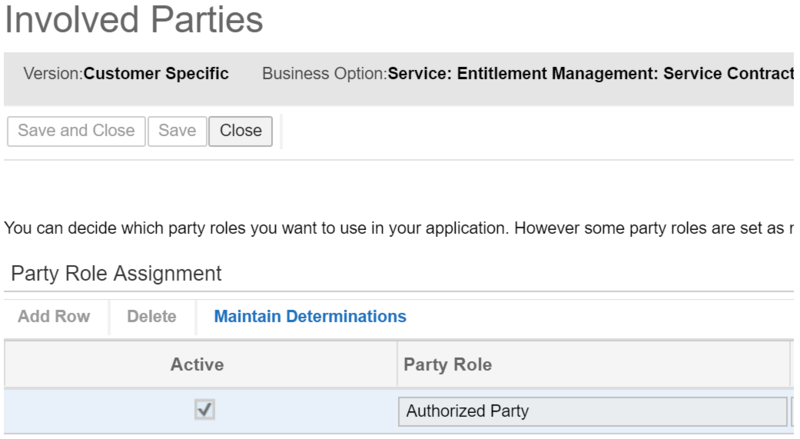 The account hierarchy of the authorized parties is not included in the determination logic. Thank you, it was helpful! Awesome.. Thanks for the information!